Since 2013, OPH has partnered with international rescue organizations to expand our efforts globally. OPH believes in helping deserving dogs regardless of circumstances or location - in our eyes, rescue has no borders or boundaries. Rescuing internationally comes with a myriad of unique challenges. For instance, in India, temperatures can reach 120 degrees Fahrenheit in the summer, which exposes dogs to the risk of dehydration, heat stroke, and kidney failure. 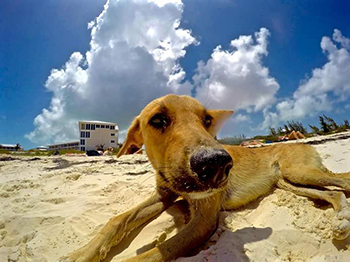 Additionally, Turks and Caicos is susceptible to natural disasters, which has displaced dogs and destroyed the already limited resources shelters have at their disposal. While there are horrific cases of abuse and neglect and inherent challenges stateside, we could not turn our back to those animals in need abroad. OPH is very selective about our organization partners to ensure the dogs slated for international adoptions are screened thoroughly for medical issues and temperament. Like all our dogs, our international friends are matched with volunteer foster homes before being adopted into permanent, loving placements. We are proud to partner with Kannan Animal Welfare in India and the Turks and Caicos SPCA. An OPH volunteer, Irene Skricki, recently traveled to New Delhi to volunteer with Kannan Animal Welfare, OPH’s partner in India. Here is the story of her journey. Have you ever had an experience so intense and engaging that you felt that time had stretched out, and weeks went by in the course of a single day? A time when you are so in the flow of the experience that you do not want it to end? 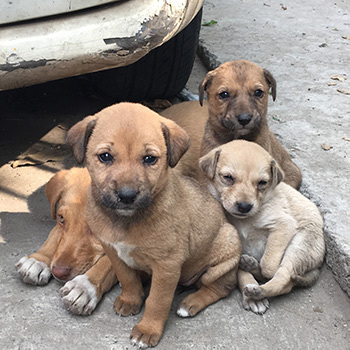 I recently had a such an experience -- a trip to India to work with an organization that helps sick and injured dogs on the streets of New Delhi. It was a life-changing experience, and has given me and a network of other volunteers a way to do something we love while making a meaningful contribution to helping animals in great need. Here's how the story begins: in March 2017, our beloved spaniel Clara died unexpectedly of a very aggressive form of cancer. We were devastated, but after a couple of months, we decided to move ahead and get another dog. We could not replace our beloved spaniel, but how could we live a dog-less life? Help Support Desi Dogs coming to the U.S. by donating to the transportation and medical costs to bring these amazing dogs to us!